For better or worse, your Automobile Insurance premium is a direct result of your driving record. This amount is determined by the insurance company to cover the costs of insuring you and your family as drivers on the road. Want to lower your premium? Keep your driving record clean! Before giving you a premium price quote for your automobile coverage, insurance companies look at your driving record for the last three to five years. Your driving record reveals how risky you would be as an insured. Those with lots of tickets and/or accidents are considered more of a potential liability because statistically, they will get into more accidents and have more tickets in the future. Your insurance premium is not a finite amount and can diminish over time if you maintain a clean driving record. If you have no accidents or tickets (especially moving violations) on your record recently, you may be eligible for a lower rate. And, you may be eligible for a significant discount after several years of good driving. You may also be eligible for an accident forgiveness program if you’ve gone several years without an accident on your record. (Or, you may qualify for a reverse accident forgiveness program, if you’ve had a clean record for some time and then have an indiscretion.) In these circumstances, your premium may not go up if you maintain a good record after that indiscretion. 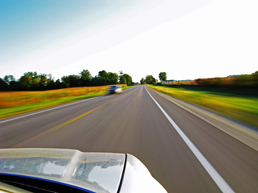 A good driving record can also reduce your deductible. For each year that you go without an accident or ticket, you may be eligible to do away with your deductible completely. This is extremely beneficial for those who elect a higher deductible in exchange for smaller premiums. Not only is driving safely beneficial for your well-being, it is also beneficial for your pocketbook. Maintain a clean driving record to reduce your premium today!